SAN DIEGO, Oct. 6, 2009 -- The Northrop Grumman Corporation-developed (NYSE:NOC) MQ-8B Fire Scout Vertical Unmanned Aircraft System (VUAS) recently completed a flight under the command and control of a new company-developed STANAG 4586 compatible ground control station (GCS). The recent flight tests took place the week of Sept. 21 at Yuma Proving Ground (YPG). 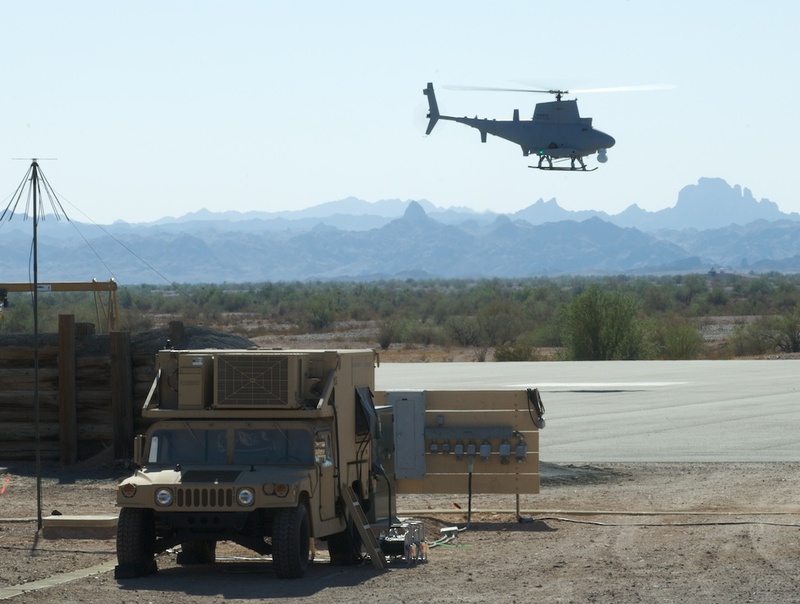 The flights demonstrated the functionality of the ground control station (GCS) that will be used for future capability demonstrations with the company-owned P7 Fire Scout VUAS. Flight activities will continue at YPG to prepare for the Army Expeditionary Warrior Experiment at Fort Benning, Ga. The GCS contains multiple radios for voice, secondary command and control and a Tactical Common Data Link for primary command and control and sensor data downlink. The operator stations are fully redundant with PC-based commercial off-the-shelf workstation components. The GCS intercommunication system is digital with an external wireless system for other crew members. Mission planning is accomplished with the Army standard Aviation Mission Planning System. The graphical user interface makes use of the latest technologies and displays an intuitive Primary Flight Display that was developed with input from teams of experienced air vehicle operators. The Vehicle Specific Module can interface with any STANAG 4586 compatible Core Unmanned Control System (CUCS) module such as that used in the Army Universal/One System GCS. "The recent flight test success at Yuma Proving Grounds continues to highlight Fire Scout's maturity and Northrop Grumman's innovative ability to continually add new capabilities," said Mike Roberts, principal investigator of the Ground Control Station and chief engineer for the Fire Scout, Class IV UAV. "These flights are a great prelude to demonstrating our VSM/CUCS with the Army's Universal/One System GCS."